If you want to enjoy your time walking around the golf course, then you need a good pair of golf shoes. 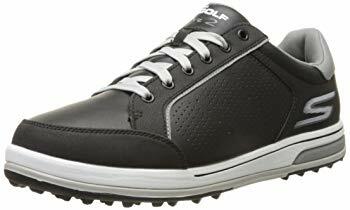 The best golf shoes for walking may be tough to pick from all the selection you have available. The big name brands get in on this action, as do specialty brands that make primarily golfing equipment. You’re going to spend a lot of time walking out on the course, so why not get some good shoes? We’ll show you how you can do that and even point out a few of the top products that you could choose from. We have told you what to look for when you buy shoes and what common mistakes you should be avoiding. 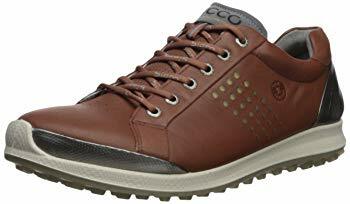 Now, it’s time to show you some of the best options available for golf walking shoes. The tough rubber sole and breathable lining make this a very comfortable, very durable shoe. It’s something that should be a joy to wear for long periods of time and last for a long time as well. The collar and tongue are padded for extra comfort, and the interior cushioning is soft and supportive for your feet. The moisture wick lining ensures that your feet feel dry and are protected from excessive sweating. 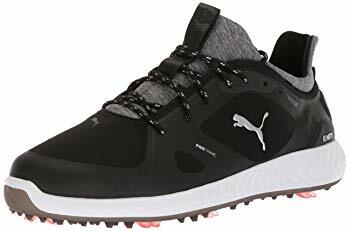 The only real issue with these is that they are tough to clean due to the triangular indentations on the base, but otherwise, they are ideal golf shoes for just about anyone. May be difficult to clean. These leather shoes may not be ideal for rough weather conditions, but they will last through a lot of wear and tear. You can expect excellent support from them, as they have been tested extensively to ensure that they provide maximum support and comfort, particularly during lengthy playing sessions. These shoes also boast some of the best traction you will find anywhere, as the cleats go in different directions to make sure you don’t slip and fall while you are walking on even the most challenging terrain. Made from very tough materials. Not made for wet weather. The upper mesh layer on these adidas shoes provides plenty of breathability. 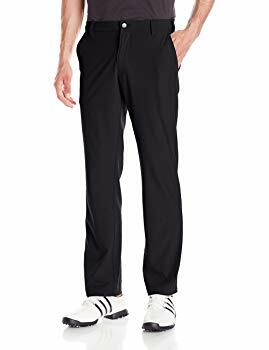 These are very soft shoes that will be comfortable to wear for a long time, but they are not quite as durable as some of the other options we have listed here. You don’t always have to trade durability for comfort, but if you want something this soft, then you probably do. You’ll have to decide how long you expect your shoes to last for as much as they cost. These are generally priced economically, but that depends on which version of these shoes you want. Many in this line retail for well under $100, while a few options retail for closer to $150. Great cleat design for a strong grip. May not last as long as you would like. There is more than one way to make a shoe feel and behave in a stable manner. With this shoe, Nike opted to cut back on the grip and cleats when compared to other shoes in this category and focus more on a stable outer design. There are still cleats on these shoes, but they are minimal, though the shoes still feel very stable and do a good job of preventing slippage. Nike’s reasoning is that the shoes with minimal cleats will do less damage to the green, which golf course owners should appreciate. The rest of the shoe is high quality design through and through, with durable materials, stylish stitching and aesthetic and a comfortable feel. High quality materials make for a durable shoe. Grip isn’t as strong as the competition’s. Puma makes a wide variety of sports shoes, and these look more like soccer apparel than anything designed for golf, but that sporty design gives them a unique look out on the green and allows them to offer excellent stability, grip and durability. 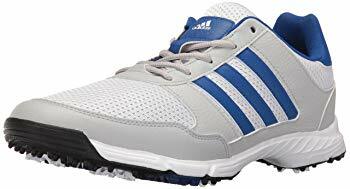 These may not be comfortable for some people, depending on the way you walk and play, but for those looking to live an active lifestyle, these are great multipurpose shoes that can be used in more places than just the golf course. Can be worn for any outdoor activity. Not everyone will find these comfortable. Having a great golf game isn’t just about picking the right putter and knowing how to swing it to get your ball into the hole. You also need to be relaxed and focused, and you can’t do that if your feet are killing you or you are sliding across the grass every time you take a step. You’ll need the right golf shoes, and if you have never put serious thought into what you should be wearing on your feet when you golf, you will notice a big difference when you make the switch. 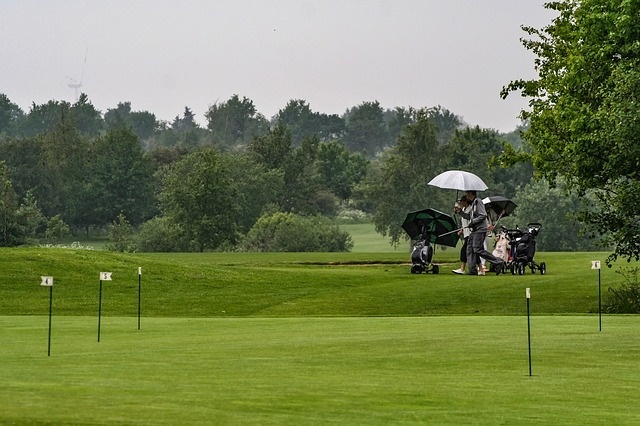 One of the key reasons golfers tend to walk instead of ride a cart, says Golf Shoes Club, is because they are trying to lose some weight or live healthier. You’ll be less inclined to walk if you have uncomfortable shoes or shoes that don’t serve you well for walking for long periods of time. A fitter, healthier golfer is a better golfer, so simply opting to do more walking and having comfortable shoes will have a subtle positive effect in your game. If you are experiencing discomfort as you play, you are less likely to be as focused on the game as you should be. 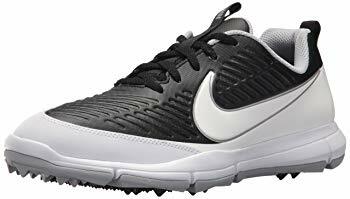 Comfortable golf shoes let you play without distraction and play more effectively. They improve your mood and keep your mind in the game. Poor quality golf shoes can cause you to slip and mess up some shots, especially during wet weather conditions. Getting the right shoes may cost more and take more work, but the positive effect it will have on your game could be considerable. Before you purchase any golf shoes, there are a few things you need to factor in to make sure you are getting the best golf shoes for walking. Grip– The best golf shoes tend to have cleats on the bottom, which helps them dig into the ground a little bit and allow you to keep your balance. 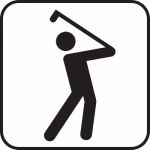 That’s important for when you are swinging the club, of course, but it’s also important for when you are walking on the course, as the cleats keep you from slipping down inclines or across wet grass. Comfort– Your golf shoes should be something that you don’t mind wearing for hours at a time. Even if they are a good fit, the design could be such that they start to squeeze your toes as you walk. How flexible the shoes are, how warm or cool they keep your feet and other related factors play a part in how comfortable the shoes are for long periods of time. Golfweek says to take into consideration that golf shoe sizing can differ from conventional shoe sizing, so try them on for yourself if you are going to the store or read reviews from users if you are buying them online. Durability– Your golf shoes should be built to last. Why pay good money for shoes that won’t be viable for very long? You want something that can stand up to wet weather and a whole lot of wear. The soles need to be very strong, as that’s the part that will get the most wear, and the durability of the upper portion of the shoe doesn’t matter as much, since it won’t endure much friction. Type– Are you looking for dress-type shoes to look classy out on the green? Perhaps you want sandals for warm weather play. Determine what kind of shoes will fit your play style, your preferences and the locations you plan to play. If you do this before you start shopping, you will narrow down your choices considerably and spend less time browsing. Assuming a High Price Means Quality– The quality of a pair of golf shoes is not determined by the price tag attached to them. There are many overpriced golf shoes, as there is overpriced equipment of every kind for this sport. If you automatically assume that expensive shoes are worth more, then you will be taken advantage by some unscrupulous companies. Buying Shoes without Cleats- You might think that cleated shoes would not be comfortable or stylish, but Golfalot.com begs to differ, calling modern golf shoes with cleats very comfortable and suitable to just about any preference. Even those wanting sandals or dress-type shoes can find a cleated version, and that extra stability comes in very useful when you are playing outdoors. Forgetting Waterproofing- According to joggingaddiction.com, One of the easiest ways to turn your golfing experience sour is to be walking around in wet socks under your shoes. You can avoid that problem by purchasing shoes that are waterproof. They can still be breathable and comfortable and waterproof at the same time, but you’ll have to do some digging, read some customer reviews and check the product description carefully to ensure that water doesn’t get into the shoes you buy. Not Thinking of the Heat- You will likely wear golf shoes out on the course in the hot sun a lot of the time. That heat can make your feet sweat profusely, leading to discomfort, chafing, athlete’s foot and other problems. You may want to look for breathable shoes and shoes with moisture wicking that help fight against sweat accumulation. You may just be surprised by how effective the right pair of shoes is for your golf game. The best golf shoes for walking will vary from one person to the next, but it is our hope that with this detailed guide you will be able to find a pair that works well for you. Once you do, you will notice the difference a quality pair makes.